We would like to know a little bit of information about your team and history if you don't mind sharing your profile. We would like to have a page dedicated to teams and their history for our web site. Please send a photo of you and your smoker or team logo if possible. Do you have a double sink with hot and cold water? Yes No I want to rent one. Yes No This is a 60 / 40 split with BBQ on the Bow with teams getting 60 %. Provincial food safety number if you have one. Fill out Alberta Health sampling application to be able to sample on Sunday. Click on option1 interactive course. We will have electicity, water, grease and coal bins as well as a garbage area provided for you. Tables are $10 each and chairs $5. The prize money has been set at 10 000. for 2019. Would you do a BBQ food demo at your team space . Email payment to Richard Fafara @ cpt_grill@shaw.ca or mail a cheque to BBQ on the Bow Society 2014 7Ave. NW T2N-0Z6. Be sure to include a password for Richard on email transactions. 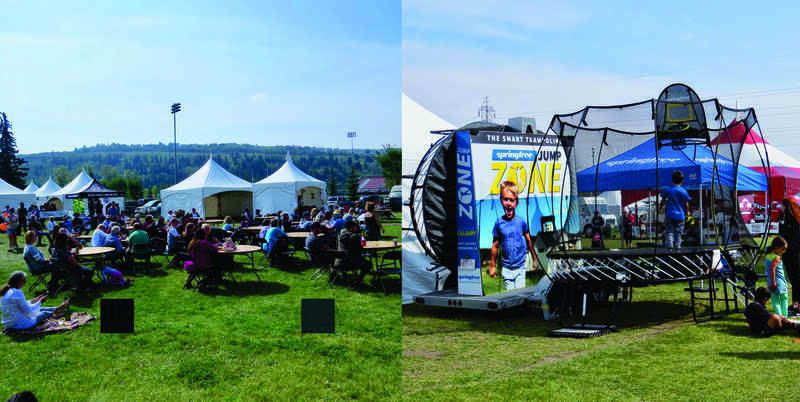 I understand that BBQ on the Bow is a day and nighttime outdoor event; that the ground cover and lighting are uneven; that there are many people, temporary facilities, stationary and moving equipment on the grounds as well as other potential hazards. I agree that the BBQ on the Bow Society, its directors, representatives, sucessors, employees, contractors, guests and fellow volunteers are not responsible and are released from any claim that I might have, for any loss, damage, harm, injury, cost or expense that I might suffer or incur before, during or after the event, at the grounds of BBQ on the Bow or otherwise in the furtherance of my duties as a volunteer, except in the case of gross or willful negligence on the part of the Society or such persons. I accept the responsibility for my own safety and security and make this waiver on behalf of myself and my legal representatives, successors and assigns. Further, I hereby grant permission to BBQ on the Bow to use any videos, recordings or photographs for any legitimate purpose.